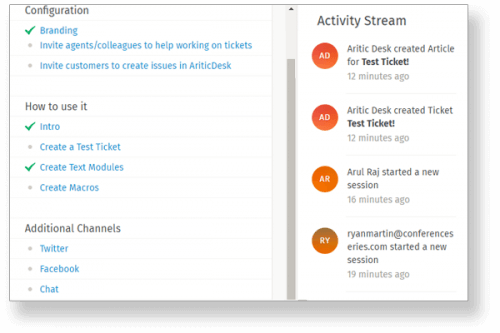 Aritic Desk Features - Manage your Customers with Ticketing. 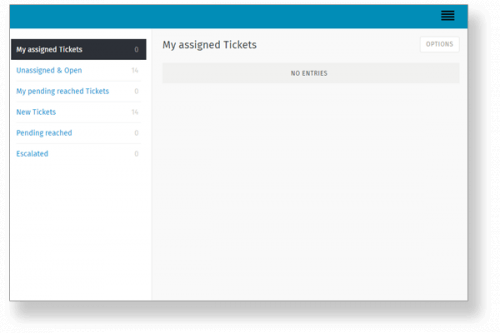 Aritic Desk helps you create tickets. Based on the ticket history, you can audit them. This makes Aritic Desk a perfect solution for finance sector as well. Reconstruct your tickets any time by shuffling the attributes and the values as assigned to each. With Aritic Desk, you can add custom fields, i.e. create individual fields like an expected deadline. Not only can you implement this feature in your tickets; your clients and organisations can also do the same. Forget double editing. You and your team are always on the same page as you get notified instantly about any changes made. There is no scope of missing out on any information or going over to your colleague’s desk to inform them! Get access to the overview of all your teams in a click. As an admin, you get the veto power to decide the number, names, attributes, columns and authorizations. Solve customer requests instantly. Help in customising the widgets real-time. After all, there are so many advantages of being quick! Trust Aritic Desk API to enable telephone system integration for incoming and outgoing calls. 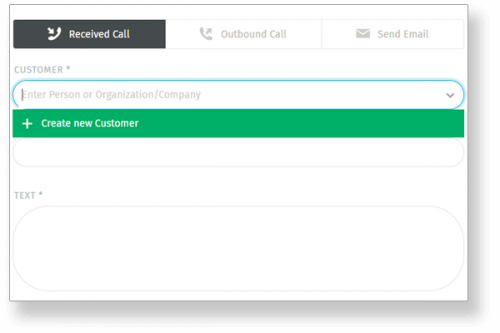 While outgoing calls are just a matter of a single click, clients are discovered via their telephone numbers. Aritic Desk loves being global. The Web-app supports multiple languages for you to choose your preferred language for a smoother interaction and experience. Looking for a word that you cannot recall who said and when? Aritic Desk provides a full-text search for words and phrases. It searches not just the tickets but also any and every available attachment swiftly. Talking about the swiftness, let’s say it searches about 40GB data in maximum three seconds. Aritic Desk lets your clients and agents to change the look of Aritic Desk as per their wish. The whole concept of personalised UI is here! You can juggle between multiple tasks on Aritic Desk seamlessly. Your clients can open, edit, close tickets (and do more) without having to leave the browser window. Do everything simultaneously on Aritic Desk. Forgot to save and closed the window? Fret not. Aritic Desk automatically saves your work for you to continue later on the same or some other device. Problem solving is fast and efficient with the flexible text modules on Aritic Desk. Customer requests will no more get stacked up. Notify your team about an important section by making a permanent mark over it. It is easy to highlight important parts for your team to notice on Aritic Desk. There are various guidelines laid down for keywords, device-loggings, and two-factor authentication to ensure safe and secured experience with Aritic Desk. 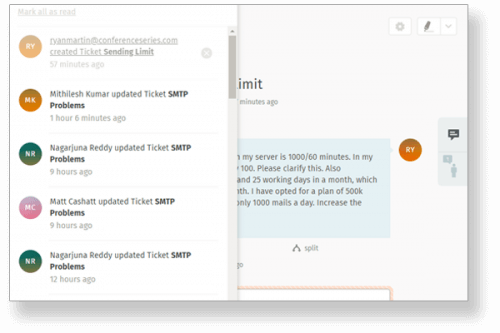 Take communications to the next level by emailing to your team right within your tickets. Streamline emails to be sent for enhanced and quick notification. You have more than one team? Well, Aritic Desk is already prepared for that. Experience a comprehensive support for all your teams with same efficiency and swiftness. Create support tickets automatically with any of your customer social media profiles. Post replies to any status update that concerns you- right within Aritic Desk. Add support tickets automatically from Facebook and Twitter along with Telegram, directly to Aritic Desk. Your customers can easily track all the edits made and the time when the changes were made. They can consequently provide further information easily. Clients who are important can be marked as VIP and the same marking will show on your interface too. Log in via social media profiles like Facebook or Twitter, or use Google vis OAuth. Aritic Desk is up-to-date, always. Aritic Desk ensures that you have a smooth migration to Desk without losing any of your previous data. The Desk Migrator or Zendesk can be used for a smooth transition. PS: There are several other solutions available too! Do more than just creating a ticket. Open, edit, delete, add members, assign owners, modify details, and more – Do bulk operations hassle-free. Profile your tickets based on your requirements for easy access later on. Whether by team or name or any other attributes- your ticket, your way. We record inbound calls for further analysis and a comprehensive support. Trust the inbound call support for any issues you have with Aritic Desk. With Aritic Desk, you can deliver resolution with accepted SLA and automatically escalate the ticketing issue to higher authority when there is delay. Let your agents or clients see the support in any language they are comfortable in. Once the app is installed, the language widget is available to change the language. Analyse each profile in-depth, starting with how many tickets were created, who created, the progress status, et al. Use filters to dig in deep and know details like which agent creates more tickets, engages more, etc. 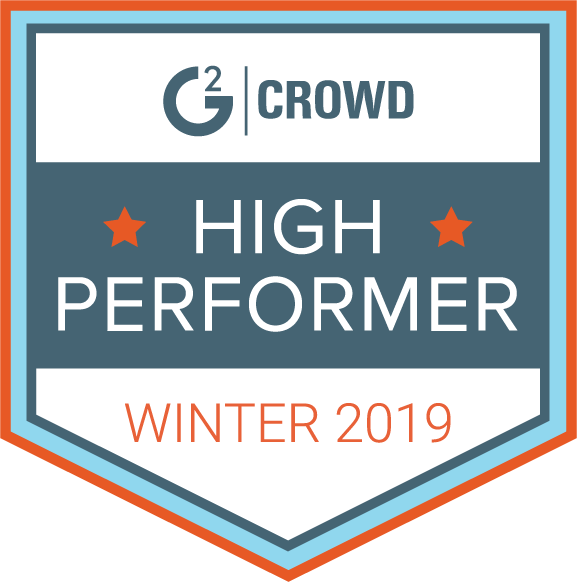 Why rely on manual reports to analyze the performance of your team against each client or agent. 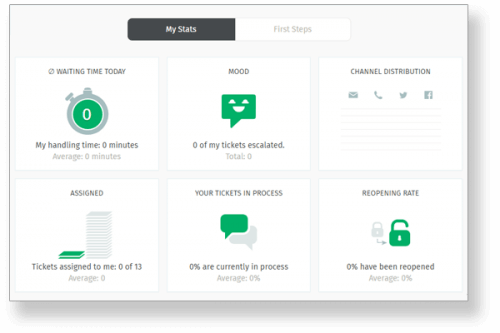 Aritic Desk offers real time performance analysis based on ticket properties, agents catered to, time trackers, etc. Create knowledge base that is easy to find on Google. Whenever you send a long reply to a customer, you can add that to your knowledge base if possible. Create articles that will help your customers get going with majority issues. PS: No Errors or Typing mistakes in knowledge base!